It's hard to beat the feeling when you step inside this magnificent single story home featuring 4 bedrooms with 3.5 Baths. It boasts a huge Great Room with a 13' high ceiling plus a main level Bonus Room! 3,014 sq. ft. 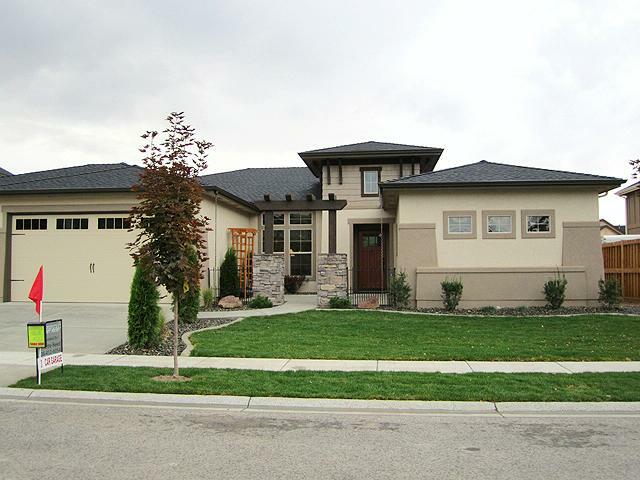 Incredible curb appeal plus large rooms and high ceilings will make living in this feel grand. The Great Room features a beamed cofferred ceiling and built-in bookshelfs. The large Kitchen boasts a large island and pantry with upgraded appliances and cabinetry. 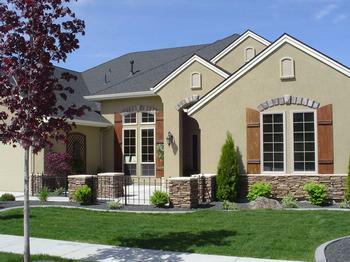 Other features include; A large Master Suite, A Bonus Room, 5 car garage and several Flex Room options. 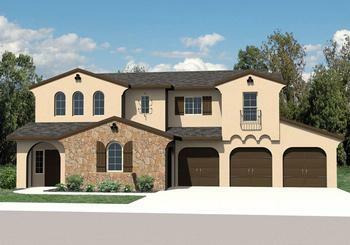 This stunning 4 to 5 Bedroom 2 story design is just as impressive on the inside as the outside. The high ceilings, arch doorways and clerestory windows add to the grand cathedral feeling you get inside this masterpiece. 2,750 sq. ft.
View Floor Plan An Unforgettable Kitchen! A relaxing courtyard entry leads you into this wonderful 3 to 4 Bedroom one story with 2.5 Baths. The stunning Kitchen and Great Room feature a 12' ceiling and heavenly clerestory windows, perfect for those who love bright interiors. 2,468 sq. ft.
Great curb appeal describes this 4 Bed. 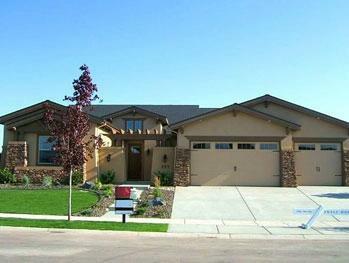 2.5 Bath single story home that features a delightfully large Kitchen and Dining area. You'll love relaxing in the Great Room with its huge fireplace and wall of windows. 2,390 sq. ft.